Long time no post huh? I figured I would give a quick update. I am still in New York for the summer for my internship - and I am loving it! It's quite an exciting place to be for the summer. There are LOADS of exciting stuff going on in my life right now. 2) I am going through a complete "Love YouTube" mode right now. We all go through phases where we aren't feeling it, and then we are, and then we get bored with it again, but right now is a peak time for me loving it. Expect my June favs tomorrow or Wednesday (lets hope for tomorrow!). 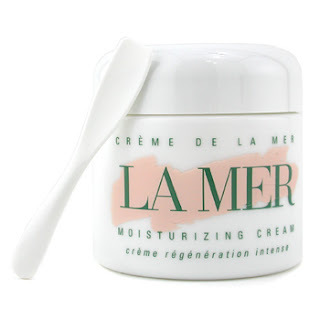 Creme de la mer moisturizing cream. Yes it IS terribly expensive - but honestly, I would be willing to spend my last bit of money on good skin. What is more important than good facial skin (unless you are going without food for this, or have kids that need the money)? Expect a review on this product soon - it is love for me. Tutorial Featuring Naked Cosmetics - I sure bought enough of it! So anyway, I hope you guys are having an amazing Monday night/Tuesday morning. Goodnight! P.S. What would you guys think of a weekly BlogTV? Would people be interested?